When Henry VIII died in 1547, he left three highly intelligent children to succeed him in turn to be followed, if their lines failed, by the descendents of his sister, Mary Tudor. 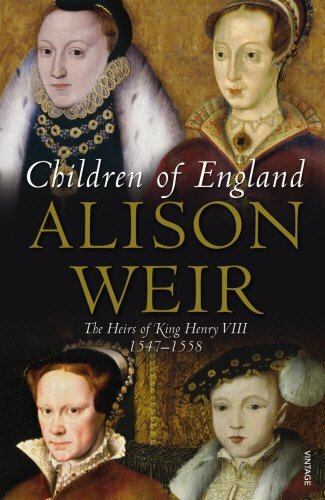 In Children of England, Alison Weir’s interest is not in constitutional history but in the characters and relationships of Henry’s four heirs. Making use of a huge variety of contemporary sources, she brings to life one of the most extraordinary periods of English history.